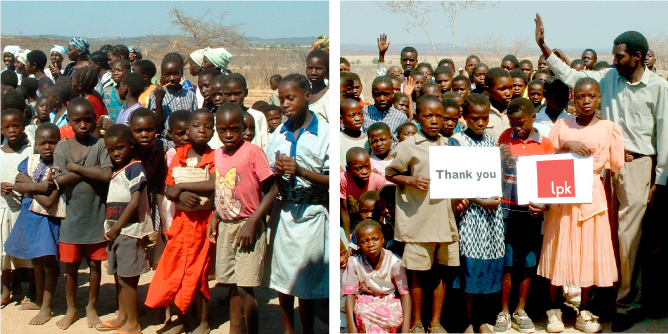 Eight years ago, LPK joined an effort to make education more accessible for children in rural Africa by supporting the construction of a school building in the Zambian village of Mulindi. Before the school’s construction, the children of the village had to walk 20 miles to the nearest education center. Since the school’s opening, the children have been so eager to learn that the books in the school’s library are now falling apart from use. So last month we orchestrated an employee book drive to help replenish the school’s collection. In just 10 days, LPK employees and their children collected more than 500 books and shipped them to Africa, where they will help facilitate learning, stimulate imagination and be cherished for years to come. Learn how you can make a difference in the lives of African children by hosting a community or company book drive. Visit booksforafrica.org for more information.